Something about a reptile in a ninja mask makes my heart sink. 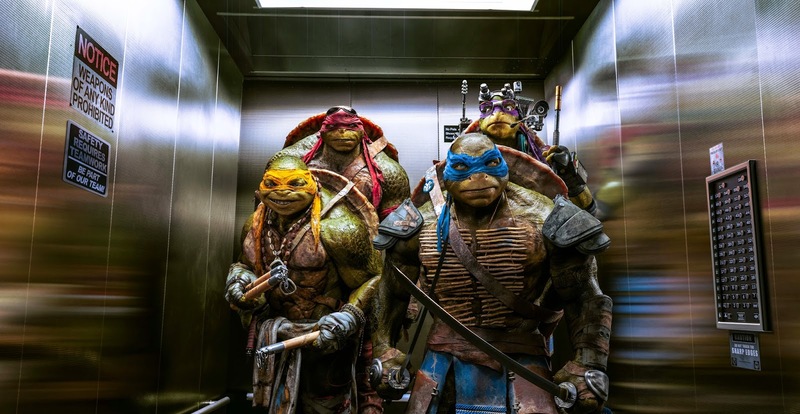 “Teenage Mutant Ninja Turtles” marks the fifth attempt at bringing four wisecracking, mutated kung-fu enthusiasts to the big screen, and the outcome goes beyond all preceding endeavors and plays like the disintegration of an entire industry standard. What inspires filmmakers, usually ambitious ones, to find amusement in this kind of material? How do they justify an idea so clearly intended for Saturday morning cartoons being worth a consistent greenlight at the movie studio? 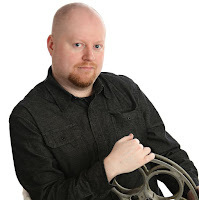 The notion that their decisions are driven by ambitious production values and over-inflated budgets certainly adds clarity to the argument; from the very first over-produced frame, it is clear that not a single moment was spent developing characters with personalities here, much less a story that could offer some sort of challenge beyond keeping names straight. Whatever the final point was, I dunno, but eventually it becomes lost in a laundry pile of inane action and dialogue that often inspires groans of depression rather than enthusiastic joy. Any endorsement of this film would be like admitting defeat against the declining standard of summer entertainment that I have been so vocal against. For those unfamiliar with the setup, here’s a brief rundown (though probably more detailed a synopsis than the writers could provide): beneath the sewers of New York, in a damp corridor isolated from civilization, there exists a gathering of five earthly creatures who have, over the course of several years, been mutated into superior forms of their former selves. Four of them are turtles – Rafael, Donatello, Michelangelo and Leonardo – and the other, their “teacher,” is a giant rat named Splinter who has trained them in the ways of kung-fu. Why is that? Well… why not? It’s not enough, I suspect, for a mutant turtle or rat with a perfect grasp of the English language to simply exist; you have to give them something interesting to do in a story like this. That is especially true in this logic-forsaken society, because the screenplay informs us that the blood of these characters also contains an elusive mutagen that a greedy scientist hopes to harvest – for what, who cares? It also turns out that a notorious ring of local terrorists known as the “Foot Clan” may have something to do with a recent crime spree that may be related, and these details catch the attention of an aspiring broadcast reporter named April O’Neil (Megan Fox). Trivial subplots occupy time. April’s career is in a stagnant downward spiral, and her desire to find the next hot story clouds her to the logical approach of newsroom idea pitching; this gets her awkward looks in a room full of skeptical news colleagues, especially her impatient boss Bernadette (played by Whoopi Goldberg, who looks awkward by just being present). Meanwhile, her news van partner Vernon (Will Arnett) attempts unsuccessfully to reason with her fruitless pursuits, and intercuts his advice with flirtatious platitudes. Later still, the rebellious “Foot Clan” attempts to steal a shipment of chemicals at a dock, but is thwarted by some elusive vigilante in the shadows, which aggravates the clan’s enigmatic leader Shredder (Tohoro Masamune). Where this all fits in to the big picture is anyone’s guess, including April’s – but when she spies the clan at the city docks fighting a group of shadowy vigilantes – clearly not human – it spurs her into investigative action. And how does Eric Sacks (William Fichtner), a prominent business man, fit into all of this? Because he had a close working relationship with April’s father before he died in a fire at a science lab, he may possess critical insight into unravelling the mystery behind the four figures she catches lurking in the night. A personal history with the turtles has ebbed and flowed. Because they were predominant in the sphere of popularity during my childhood, it was not as if they went ignored in the lineup of Saturday morning fluff entertainment that was readily available; once upon a time, I even recall being amused by Michelangelo’s surfer lingo, and was briefly impressed by the skill of Donatello, the token brainiac. Back then, it was all just innocent and innocuous fun. But when the four were ripped out of the cartoon world and relegated to the status of live action heroes, they had lost what I saw was a fundamental quality: their ability to exist in a place ridiculous enough to produce them. These were not creatures made for this reality or anything resembling it, and observing them (and their antics) through the lens of a human world nullified their worth as silly exaggerations of the childhood imagination. Someone high up ought to have seen how odd and creepy they were from that perspective, but alas the idea pressed on, eventually resulting in four different mainstream films (although I do admire the fourth, in a sense, for taking the characters back to the animated realm). This newest excursion is even more of a curiosity: while the movie is live action, nearly every still shot of the five creatures appear to be fully digital renderings. They are not flattering depictions, either. The turtles look like unfocused globs caught in a whirlwind of ridiculous stunts. The villain, a man named Shredder, wears an armor suit that would baffle Tony Stark. And what of the rat? Don’t even get me started on how badly he sticks out, even when standing at the center of a group of giant humanoid turtles. Bottom line: the special effects are cheap and unfocused, and the action scenes are intensely muddled, as if to suggest the editor purposely cut them that way to pull focus away from the fact that all of them probably looked even more ridiculous in motion than they do being stationary. My philosophy is a bit more pointed: if you’re going to bother going to such lengths to give the turtles a look that defies visual realism, why not just make an entire CGI cartoon and be done with it? Then again, would that have even saved it? At 101 minutes, “Teenage Mutant Ninja Turtles” is the longest and most exhausting movie experience of recent memory, a film that sleepwalks past you as if lumbering down a dark hallway looking for a shot of espresso that isn’t there. No one on set is remotely interested in pushing this premise past the point of product placement, and you suspect that most of those involved simply sat back and let the magic of studio money do all the necessary work. The script (if you dare refer to it as such) paints its details in such broad, uninteresting strokes that it fails to supply anyone – including the protagonists – with a central motivation. The turtles themselves don’t even seem to be real individuals, just rough outlines of personalities strung together by association, and distinguished by colored masks. And the one character that actually aspires to be doing something – April herself -- abandons her pursuit of a hot story in the final act as a cliché way of saying how important family values are over journalistic opportunity. No offense, but if I were a reporter who discovered that a family pet had turned into an agile wisecracker lurking the mean streets of the city, I’d be demanding interviews. This was the worst review of a movie I have ever read. You shouldn't even being writing a review of this movie considering the biases you admitted to having against it before watching the first scene. If "something about reptiles in ninja masks makes your heart sink," don't watch a movie about reptiles in ninja masks. And definitely don't write a review giving your opinion. Your opinion on the premise of the movie is fine, but given what your opinion of the premise is (i.e. You hate it), you really shouldn't be commenting on the details.